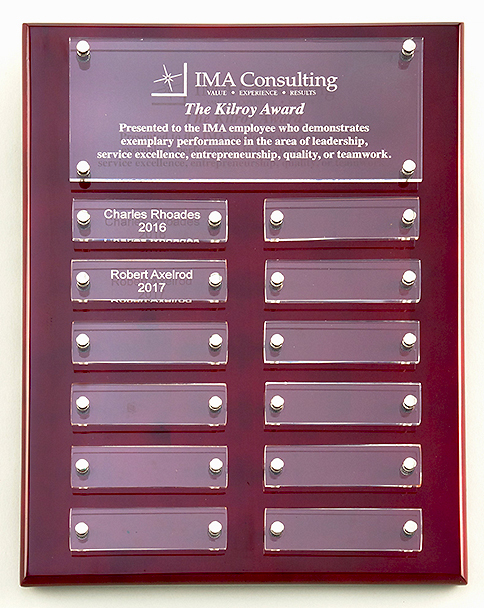 Rosewood Perpetual Plaque with Acrylic Plates. Contains 12 small acrylic plates and one header plate. 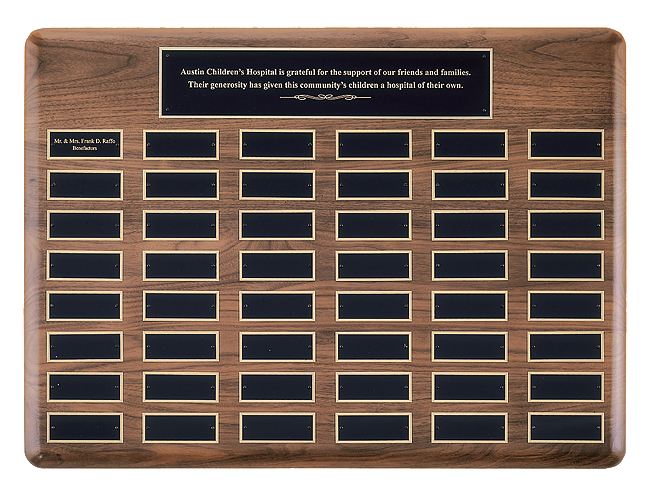 Black piano finish perpetual plaque. 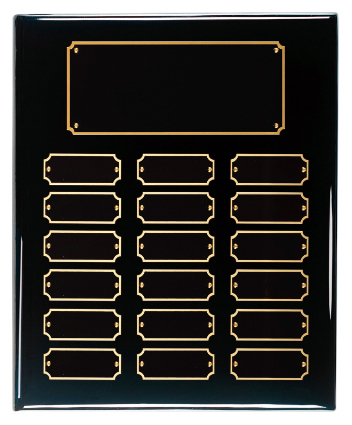 Size - 10 1/2" x 12 3/4"
Contains 18 small brass plates and one header plate. 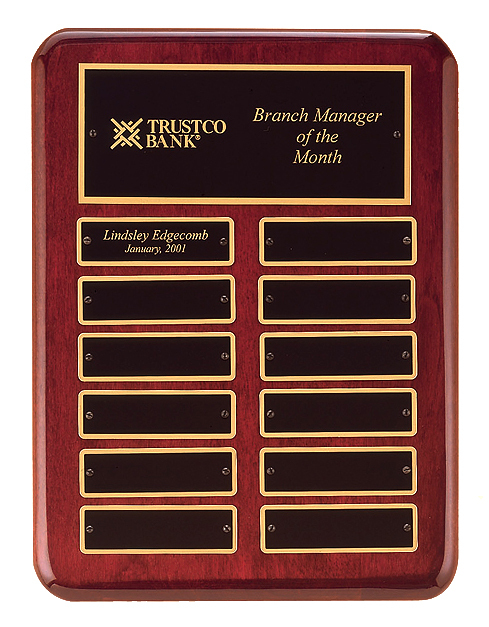 Perpetual plaque with cherry finish wood, hand rubbed for a deep furniture finish. Contains 12 small brass plates and one header plate. 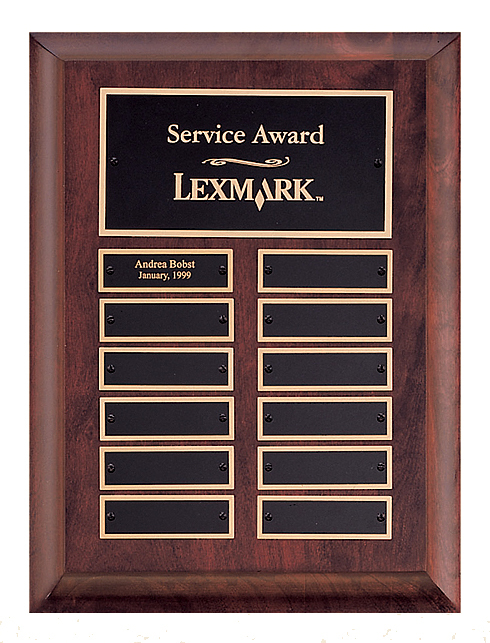 Perpetual plaque with rosewood stain and heavy lacquer piano-finish. Contains 24 small brass plates and one header plate. Solid American walnut with sapphire marble finish. 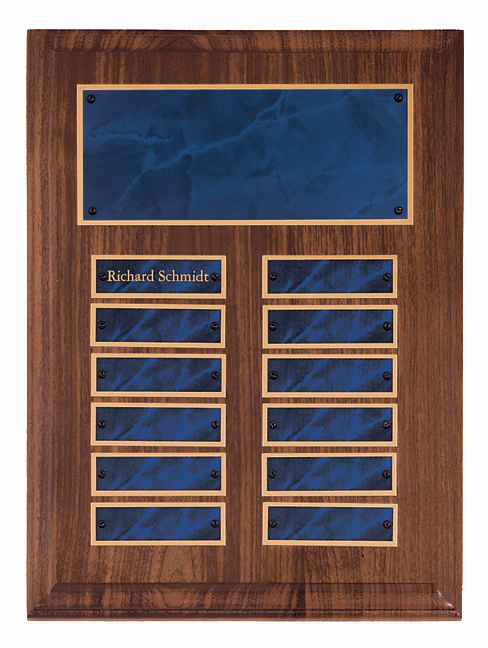 Airflyte perpetual plaque with extra large individual plates, frame made of solid American walnut. Contains 48 brass small plates (1 1/2" x 3 3/4") and one header plate. Contains 96 small brass plates and one header plate. 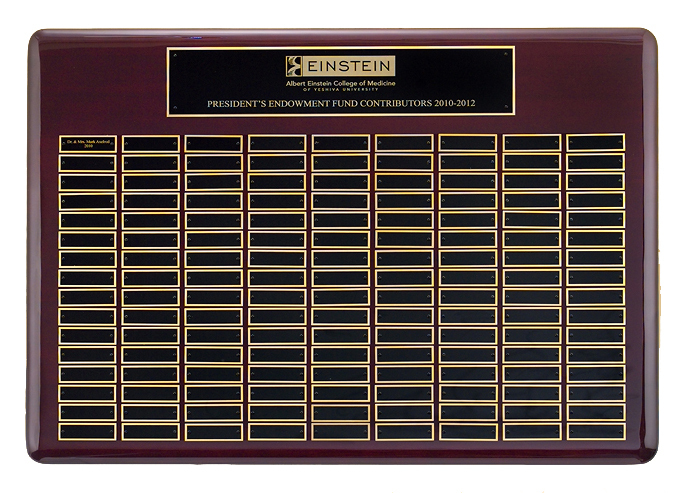 Contains 120 small brass plates and one header plate.